Even though in-fighting, discord, and cheating have long characterized the Organization of the Petroleum Exporting Countries (OPEC), the analytical community of late has placed great faith in the cartel agreeing to crude cutbacks when it meets in Vienna next week; however, that faith was put to the test Wednesday when Saudi Arabia announced it won't enact any cutbacks alone. Khalid al-Falih, energy minister for the kingdom, told reporters in Abuja, "We are going to ... do whatever is necessary, but only if we act together as a group of 25; as Saudi Arabia we cannot do it alone, we will not do it alone. "Everybody is longing [to] reach a decision that brings stability back to the market ... I think people know that leaving the market to its own devices with no clarity and no collective decision to balance the market is not helping." Unfortunately, al-Falih's comments were accompanied by Russia's president Vladimir Putin on Wednesday said he was satisfied with current oil prices, which reinforces the notion that the former Soviet Union has no intention of agreeing to any serious production cutback; also, Emmanuel Ibe Kachikwu, energy minister for Nigeria, told media it was too early to say whether his country would participate in any cuts. But if analysts were rattled by these disclosures - and certainly they caused crude price son Wednesday to drop to new 2018 lows - they maintained a brave face and focused instead on the question of whether the Saudis next week would somehow try to appease U.S. president Donald Trump (who wants production to increase in order to drop prices even lower) or act in its own self-interest and sanction cuts. According to Ehsan Khoman, head of MENA research and strategy at the Dubai branch of Japanese bank MUFG, the latter will occur: "Saudi Arabia will likely see through the pressure and not entertain calls from President Trump, and in fact lower production. "The key question now is the size and magnitude of the actual production cuts for each of the OPEC members." Khoman added, "This time around, given the large oversupply we have in the market, we think anything between 1.3 and 1.5 million barrels could come off the market when they meet in Vienna." Societe Generale stated in a note, "Given recent dramatic increases in crude output from OPEC, Russia and the U.S., along with higher projected flows from Iran than previously expected, we anticipate that Saudi Arabia and OPEC+ will cut crude supply by 1 million bpd or more." Eldar Saetre, chief executive of oil and gas producer Equinor, told Reuters, "They will cut something that will have an impact on the market." 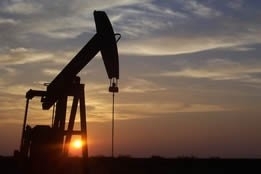 Unsurprisingly, some analysts also predicted an accompanying oil price recovery: Richard Robinson, manager of Ashburton Global Energy Fund, wrote in a note to clients that "We believe the current dip is transient and the oil price will recover over the next three months to levels of between $70-80." Although the analytical community's assessments are proven wrong about as many times as they're proven right, a comment earlier this week by Goldman Sachs warrants some attention: the bank, in calling for production cuts in order to boost prices despite Trump's wishes, pointed out that higher prices are in that country's best interests because they will encourage, rather than discourage, exploration and production development. IMO 2020 In-Depth: How Will the New Compliant Marine Fuels Be Valued by the Marketplace? Both absolute prices and key price differentials will be impacted. The magnitude and duration of these price changes, though, are still unknowns.